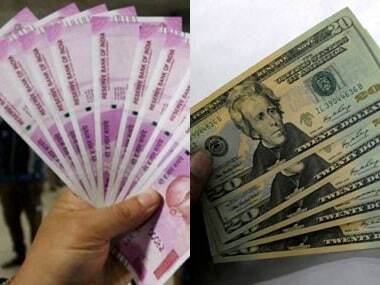 Mumbai: Halting its three-day winning run, the rupee plunged 76 paise on Thursday to close at 69.17 against the US dollar after the RBI cut the interest rate but kept its monetary policy stance 'neutral'. In its first bi-monthly policy review for this financial year, the central bank slashed the policy rate by 0.25 percent for the second time in a row, following which the rupee and sovereign bond prices tumbled. 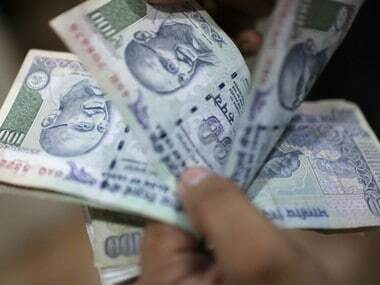 The rupee had surged by 33 paise to 68.41 against the US dollar on Wednesday. 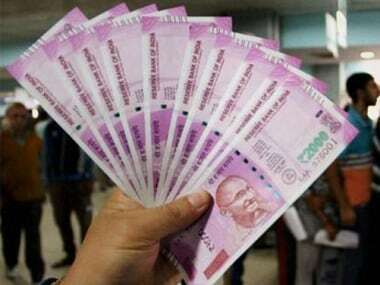 "Rupee and sovereign bond tumbled after participants perceived the policy as less dovish than expected...the yield on the benchmark 10-year bond was up 6 basis points to 7.34 percent," said V K Sharma, Head PCG and Capital Markets Strategy, HDFC Securities. Brent crude futures, the global oil benchmark, climbed 0.39 percent to $69.58 per barrel. The dollar index, which gauges the greenback's strength against a basket of six currencies, rose 0.09 percent to 97.17. Markets closed in the red on Thursday after the RBI lowered GDP growth forecast for 2019-20 and kept its monetary policy stance 'neutral' amid uncertainty over monsoon. The 30-share BSE Sensex index settled 192.40 points, or 0.49 percent, lower at 38,684.72. The broader NSE Nifty slipped below the 11,600 mark, ending 45.95 points, or 0.39 percent, down at 11,598.